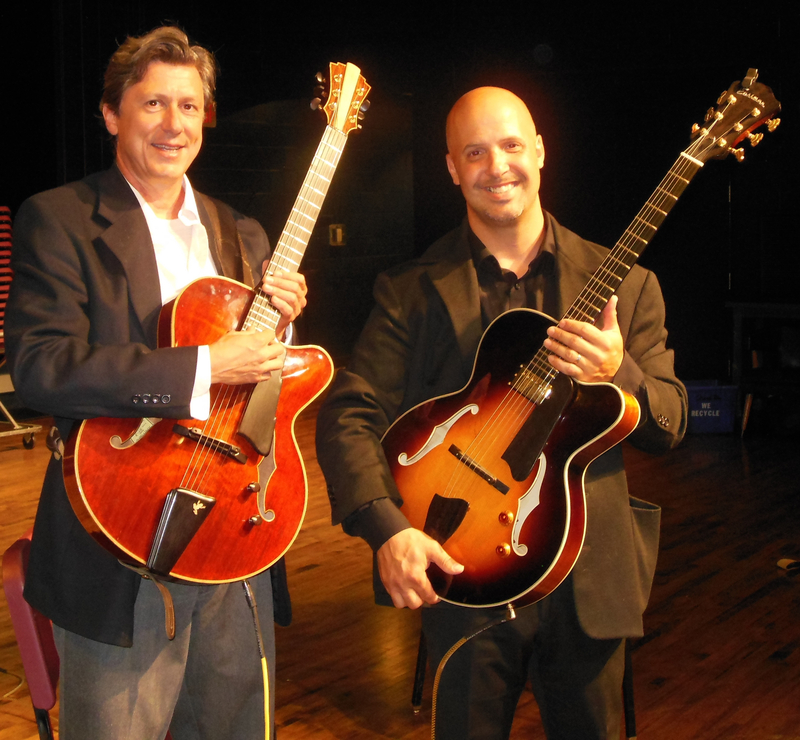 The Lance Tanner Duo is a jazz guitar duo steeped in the tradition of guitar greats and classic tunes. Jim Ferrantini and Marcus Deveso, with nearly three-quarters of a century of combined playing experience, are proud to claim Jazz guitar legend Martin Taylor as their mentor and greatest influence. Jim and Marcus have been playing together as LTD Jazz for nearly a decade, and have shared the stage with Frank Vignola and Vinny Raniolo. They have also produced shows for Martin Taylor, Brian Gore, Celso Machado, Mike Dawes, Frank Vignola, Vinny Raniolo, Solorazaf, Quique Sinesi, Pinot Forestiere, Andrew York, Diego Figuieredo, and Maneli Jamal. Jim and Marcus are committed to innovative duo guitar arrangements of a variety of Jazz standards and popular tunes. The Lance Tanner duo is proud to share these arrangements and to add the Northwest Jazz Festival to its long list of show experience. Guitar great Tommy Emmanuel once said that music is the "happiness business." LTD Jazz sincerely hopes that you go home happy tonight.